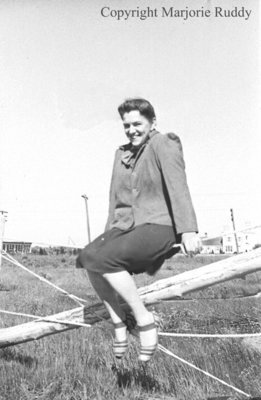 Black and white negative of an unidentified woman sitting on a fence and smiling at the photographer. Buildings and telephone poles are visible in the background. Unidentified Women Sitting on a Fence, c.1945, Marjorie Ruddy. Whitby Archives A2013_040_847D.